A talkative child talks a lot and expresses his emotions through words. He may not talk like an adult and few of his words may fall out of place but he expresses himself correctly through words. We as a mother has to understand child's words and learn to interpret it correctly. Mothers can do this only when they spend time with their child and talk often with them. A child will express himself through words and communicate everything. Mother - child relationship is special and a mother plays a big role in the development and upbringing of a child so the bond should be stronger because they last longer. There are few sacrifices that a mother has to make but then we need to give time to something which is important and children are important in our life. Especially working mothers face lots of problems in juggling time but then i think if we try we can and we should always try and never give up. A Silent child is a child who is very silent and will not express himself through words but only emotions. He will not speak much and will expect the mother to understand what he has spoken. The Interpretation might get wrong sometimes but then the mother starts understanding his words. A silent child is difficult to handle because a mother needs to keep a check on everything whether it be his studies, playing and friend circle. With regular communication a mother can convince the child to speak and express himself through words. He will start opening up but then he has to be convinced again and again. It takes time but mothers do their job very well and know how to handle them. Expressive Child - An expressive child is one who will express himself through emotions. They will be happy, sad and will start crying to express their feelings. A mother has to learn to interpret theses emotions. A mother needs to keep a check on the child and understand him. She can ask the child to express himself through words. See total change will not happen in a day because every child is different but then we can make him understand the importance of communication and work on him. You may experience change in months or years but then we need to tell them. They will speak up. Every child has different capacity for learning. Some will learn very fast while others will learn slowly. It is ok everyone cannot be the same. Do not compare your child with other child. Your child is special. Every person has different capabilities. Every child has different strengths and weaknesses. It is useless comparing and telling your child you are not good at something while the other can do it easily. We mothers have to remember that “My Child is Special” and different from the rest. No two persons have the same face, same voice, same physique then how can they have same strengths. They are ought to be different. Remember God created theses differences because each one of us is born to fulfill different purposes and not same purpose. There has to be a difference and differences are good. Mothers have the habit of comparing two of their children and comparing their children with their friends etc. We have to get out of that habit. Some are slow learners while other are fast learners. It is OK. Some will understand few concepts faster while it takes time for others to understand the same thing. Every child has different interest. Few are interested in Science, Mathematics while others are interested in arts. Do not force your child for anything. Develop interest in certain subjects. It takes time but over time they will find it interesting because you hit it again and again to your child. You need to motivate them for something and not force them. Most of the time we force rather than motivate. Take your child along with you to training programs where you go. They will get a lot to learn from the trainer and the environment. They will learn a lot. Give your children exposure to various things. Do not keep them in the closet, at home. Bring them out and show them the world. Make them understand the good and the bad. They will know the difference. Children are very fast learners. Never underestimate their capacity for learning, studying and playing. They have lots and lots of energy. You as a mother just take care of their food eating habits and give them the nutritious food. No nagging but understanding. You have to develop likeness and you cannot force something on your child. We should not compare our own upbringing (The way our parents nurtured us) with our children. Never try to do the same as your parents did with you. The environment today is quite different from what we lived. Today’s children go through lots of stress and in our time we were never stressed. So we have to try and relieve the stress and not increase it. Few mothers are very dominant and have the habit of forcing everything on the child. She does so for child's good but the child reacts. Do not force. Leave your dominating behavior. It may work at office or with others but do not do that with your children. Discipline has to be established through a proper way by means of communication, examples and you yourself exhibiting the behavior you want your child to develop. The child will learn more by seeing you rather than your teachings. If you say something and do something, your child will do what you do and not what you say. We need to discipline ourselves first before we want to see those habits developing in our children. You have to do it for your child. A lot of learning takes place from home, school environment, teachers, parents, friends, visiting places. Keep a good environment at home. Choose a good school for your child. The school environment matters a lot. The place where they sit, the type of chair, the instruments which are used to aid in learning, books, notebooks, everything matters. The behavior of teachers, school administration etc. A child is learning from them. A child spends large chunk of his time in school i.e 6 - 7 hrs so the environment should be good. Always meet teachers, talk with time and know about child's problem. What problems he is facing and which all subjects are difficult to understand. How you can help him, how the class teacher can help him and what external help you can provide to your child so that he is comfortable with a particular subject and subject teacher. Teachers play a very important role in learning. The way they act, talk, teach and behave matters a lot. The child loves certain subjects and subject teachers while runs away from other subjects. It happens with every child. 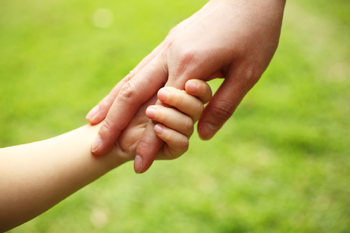 You as a mother have to guide and let your child hold your hands when needed. You be affectionate and understanding and not get angry on your child. Learn to handle your child. Get out of the thinking that as you are an elder you are superior and free to do anything which you feel correct. We too need to learn. We are not good at everything. Read books, enhance your knowledge, understand your child better. Attend training programs. All will help only when you are open to learning and these will help you in nurturing your child and understanding your child. “We find out time to do things which we feel important”. Never say i don’t have time. You need to wipe off something and adjust other things and reschedule your life so that you have time for your child who is born through you. A child will not listen to you 100 % but apply his brain and do what he feels correct. It is ok. You want them to be independent and take decisions for themselves. Let them do that this will lessen your burden and your child will get more independent. Do not make them dependent. Try to make them independent. This will lessen your burden and work. My choice and my child's choice may or may not be the same. We as a mother choose the best and want the child too to select what we have chosen for them but our child thinks differently. Do not force something on them. You can talk and make the child understand but if he still argues go ahead with your decision but first talk. It is important to talk rather than just doing what you feel correct, you need to communicate by use of proper words and in good temperament not with anger. We get angry but then we mothers have to learn to manage our emotions and i think we can very well do that. We are the best at doing that. Motivate your child when he is down. Present him with a gift or throw a small home party for each of his achievement. He will feel great about it. Do not burden yourself by promising expensive gifts which you cannot give and which takes away your peace of mind and lowers your image in front of your child. They will start telling you that you never keep your promises. “Promises are meant to be kept not broken”. Do not promise if you cannot keep it because you will forget but your child remembers and he will remind you about it again and again and get sad about it. A happy child is a healthy child. Try to keep your child happy. Play with him and help him learn. Your child grows faster than you think and they want themselves to be treated as grown ups and not a small child. Today's stressful environment not only stresses adults but children too. What to do ? You either remove the stress, change the stressful environment or adjust your self and learn the habit of de-stressing. It is always better to adjust ourselves. We have 24hrs in a day but have work of 30 hours. Very long gap. what to do ? Check your priorities and leave the rest. Talk with your child and let him express himself, this will help in de-stressing your child. De-stressing is important whether it be children or adults. A child accumulates stress from home, environment, parents, friends, school etc. They are yet to learn the habit of de-stressing. We need to teach them. Motivate them to be spiritual and take them to do puja along with you when they are available at home. I feel praying to God really helps in de stressing our minds. Talking with someone also helps a lot but with the right person. Exam stress - Children takes lots of exam stress and many get sick just at the time of examination and perform best at other times. Get the child into the habit of studying daily and complete assignments so that they do not accumulate and burden them. Do homework's daily, study daily. Skipping homework's just because you don’t have the same period the next day is not good because it will increase your burden the next day. There are 7 days in a week and 24 hours in each day. Utilize them properly and teach the same to them. Allowing your child to play the whole day on holidays and the burdening them on school days will put stress on them. Set a certain time aside for doing homework and home studies and be particular and regular. Maintain time and discipline. Adjust your life according to the schedule of child and if you cannot do the same find a middle path and let both you and your child adjust but then again you need to talk about it with your child. A working mother has problems and they need to juggle a lot but nothing is impossible and you can easily achieve your goal, just try hard for your child. We mothers are gifted with lots of ability, understand your abilities, your power, your strength and give the best to your child. Stop complaining, start doing is the MANTRA for success. Do not underestimate your capabilities or your child’s capabilities. Both of you together can move mountains, you just have to dare and do. Tell motivating stories to your child this will help them in the long run. Develop in them the habit of reading books because a lot of self learning takes place through books. There is something which i remember till today which my dad told me i.e “Books are your Best Friend”. I read as much as possible and that is something i am transferring to my child. If i watch lots of television and say the child just to study and not watch lots of TV. I too have to mend my habit and get into the habit of reading or doing other work. You need rest, take rest. Books teach us a lot, develop in your children the habit of reading and learning from books. Educate them to become self learners where you do not need someone to teach you everything but you learn on your own. This will happen only when they get into the habit of reading and learning when faced with any problems on their own. As a mother I do that and read books and take help of google to solve my problems. I talk to people online, share my ideas and solve my problems. But i make sure that all of my doubts are cleared. A doubt should not always remain a doubt but it should get clear to create space for other doubts. These are few small small things which should be kept in mind and never overlooked. They are small but create a big impact in our and our child’s life so we need to take lots of care of them.